Take your washed potatoes and prepare them for cutting. 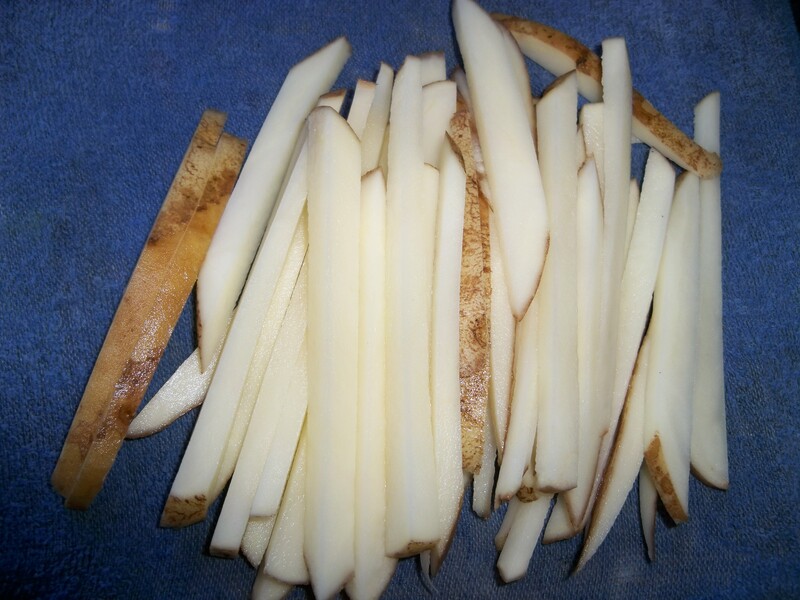 Cut the potato into long thin strips. Once you have them in nice long strips get a bowl of water and soak them in it for a couple minutes to remove the starch which makes them soggy and higher carb. Once they are done soaking remove the starchy water and dry them. 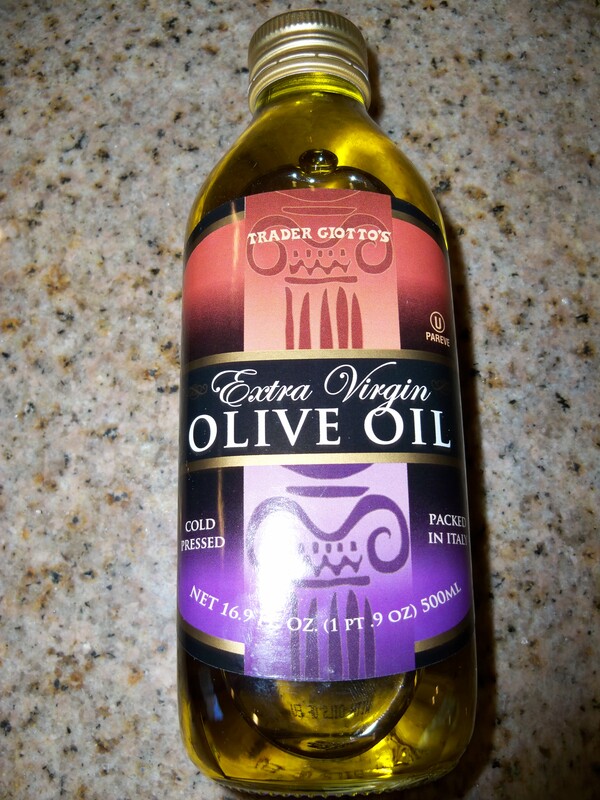 I used the Trader Joe’s Cold Pressed Extra Virgin Olive Oil which was a great price $3.29. In a large pan on medium high heat take your olive oil and put it in the pan. 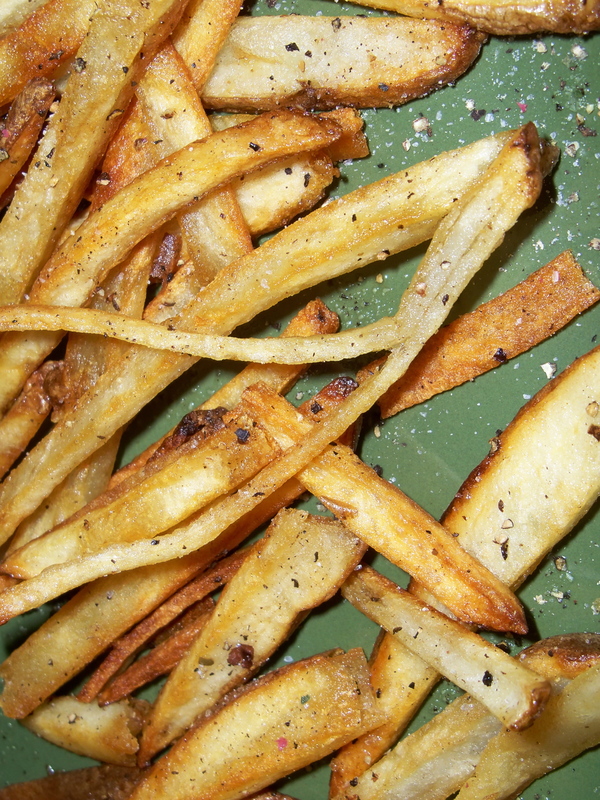 The moment the oil gets hot you want to carefully distribute the fries in the pan. Once they have a nice color forming you can flip them cooking until crip and golden. I prefer them golden and crispy but you can remove them when you get the color you prefer. It typically takes about 10 minutes to cook them for a smaller batch. If you want to make more you could either do several batches or you could cook them in a larger pan for a little longer flipping them every 3 minutes. They should turn out golden and delicious when done. Be sure to sample one while your cooking so that you can determine where they are in the cooking process. Depending on how thin you slice them will determine the length of cooking time. The thinner they are the faster they cook. 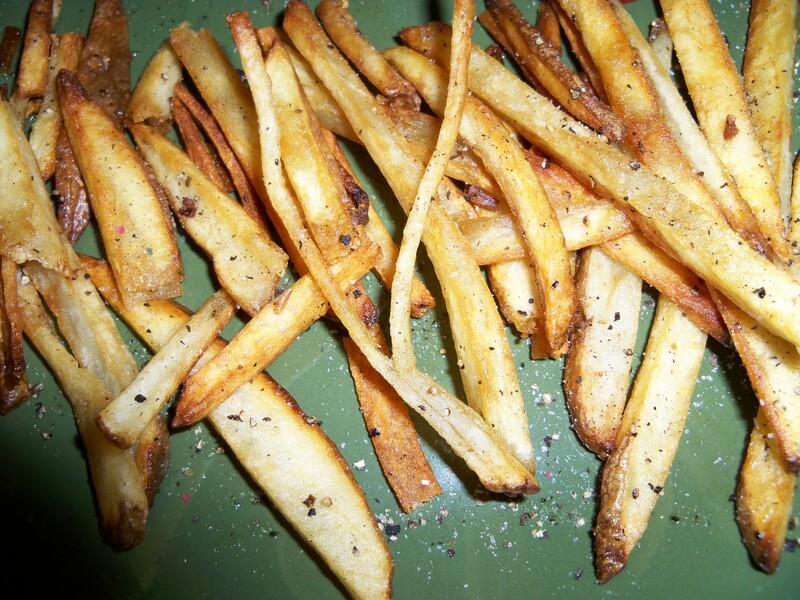 Once they are done sprinkle with freshly ground pepper and sea salt to taste. These Large russets were $1 total and we made 4 large servings. Not only a much healthier, fresher, and less carb, but also very affordable. Previous Post BBQ Tofu Quinoa Burrito – Amazing @ $.65 cents each! Next Post Trader Joe’s Cold Pressed Extra Virgin Olive Oil Deal!